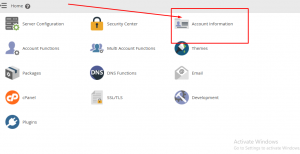 As we already have described that how to create sub-domain in this tutorial I am going to described how we can see the list of subdomain in WHM account. Step 4. Finally here you will be able to look up all subdomain which is created by you.